If you have ever gone backpacking in Southeast Asia, you have probably been scammed at least once. Chances are high that you have been put in the uncomfortable situation of having to haggle for everything from a bottle of water to a motorcycle taxi to your hotel room. Bargaining is common practice in these countries so knowing how to haggle is important to avoid a hefty overcharge for that shiny Indian elephant statue you just picked up (our souvenir of choice in this article). Don’t be another walking wallet on your vacation, take active control of your finances and follow these easy tips to learn how to haggle. Before you can even start learning how to haggle, sample the menu by asking a variety of different vendors for the price. Learning how to haggle always involves shopping around. The prices will most certainly be inflated but at least you know what the average ripoff is. Once you have that down, you can start planning how much money you want to save. For countries such as Vietnam taking 50% off the asking price is essential to getting a good deal. It sounds like a lot but you would be surprised to see how much they will try and overcharge you. For Thailand and Indonesia, taking 20%-30% off the price is reasonable. Remember, never bargain for food as it is seen as very rude in these countries (with a BIG exception for Vietnam: this place is a free-for-all, may the best man win. They will happily overcharge you for anything from water to fruit to dinner, so bargain like there is no tomorrow. 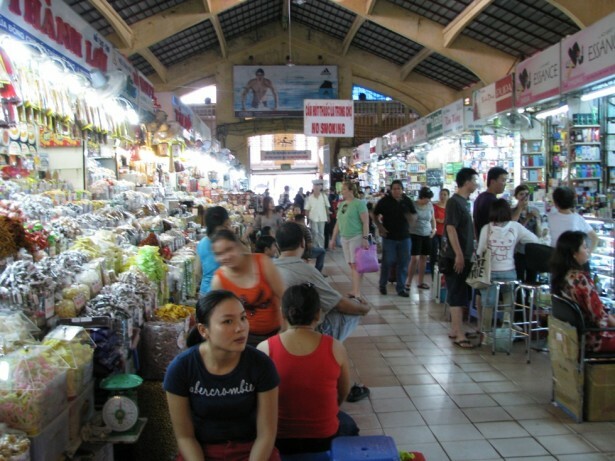 This is an ideal environment to spend time in if you want to learn how to haggle). This really boils down to your level of aggressiveness. Do you like a steamy hot-headed fight over a few cents? Then aim for 50% off. Prefer to save a little without making enemies? Then go for 20%. There is no right or wrong answer when learning how to haggle so find your comfort zone and build on that. Remember to stay consistent and pick a price-point that you feel comfortable you can achieve. Rid yourself of that bad conscience. Haggling is a Zero-Sum Game. And by game, I mean GAME. It is not a matter of feeling sorry for the locals because they have less money than you; it is not your country so do not inflate their prices. Just because you could afford to pay more does not mean you should, you are a visitor and besides would you really feel comfortable knowing you are getting ripped off simply because you are a tourist? I Didn’t think so, and you only teach the locals that scamming unknowing tourists is a viable source of income instead of creating value elsewhere. Instead, make the world better by preparing the locals for tourists that know how to haggle. If you are being asked an unreasonable price, simply do not take it since it is your money and you get to decide what you do with it. A first step in learning how to haggle is desiring your money more than the vendors do. Their ultimate goal is your dough. 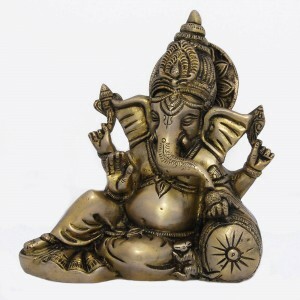 If your ultimate goal is that shiny Indian elephant statue then getting ripped off is inevitable. If your ultimate goal is your money on the other hand, you will be on a fast track to haggling success and dominate every negotiation since you have realized it is a game of win and lose. The result: a shiny Indian elephant statue and enough money left over to buy another one or have a meal. That’s a WIN. Your friend asks you to buy a shiny Indian elephant statue and hands you $5. You see this as a great opportunity to learn how to haggle, and walk down the street looking at the many vendors selling the same shiny Indian elephant statue. Find the average price. Do not let the vendors drag you in and convince you to buy, this is your friend’s money after all. Decide how much you are going to cut the price based on what is customary; in this case you will pay $3. Now, approach the vendors one by one and pick your elephant and start haggling. If they refuse to budge, then move on. You will eventually get your deal using all techniques described in this article so success is inevitable. Congratulations, you just learned how to haggle. It is too much, I will only pay X. This is a good price, you should take it! <— all-time favorite and my tag-line. It always WORKS! I cannot pay Y but I will pay X. Here is X amounts of money. It’s a good price. I wanna buy it for this. Let’s do it. <— hand them over the money here to show you are serious. Those lines seem silly to you? Yes they are, but they work. Learning how to haggle is about letting go if what feels silly and embracing what works. Don’t forget to give good reasons for your price reductions in simple English to get your point across. When learning how to haggle, things like “the room is too small, the quality is bad, you can’t get that price for this product, it is too much, you say Y, I say X, let’s make it Z and we have a deal” all work to persuade your vendor into submission. The more you talk the more you seem determined to do business and the vendors will therefore be willing to invest their time in you to seal the deal. If haggling is a game, then “walking away” is probably the most effective strategy when hitting a deadlock. Does “this is a good price, you should take it” simply not cut it with a particular vendor? Then say “no it is too much” and walk away – literally. Do not run since they will not be able to give you the price you asked for, but walking to the shop or stall next door is a good start. Now your perpetrator will start screaming lower prices at you. Ignore him. When he starts pleading you know you have a deal. This probably sounds horribly immoral but it is not, it is used all over Southeast Asia and is recommended by almost every haggle guide out there. Learning how to haggle means learning how to look at the world from a new pair of eyes. Kind of. This last bullet is really a no-brainer and is the easiest to implement when learning how to haggle. Simply show your teeth and you are making some haggling progress. Losing face in Southeast Asia is considered horrible and you should therefore be accommodating by smiling a lot while asking for your heavily discounted price. If you smile you show that you are sincere and actually want to do business, and this puts the vendors at ease. This is different from countries like Egypt and Tunisia where aggressiveness can get you further, but for Southeast Asia it does the trick. Being nice really does not hurt, especially since they will end up giving you a concession. But remember to stand your ground! And… I hate to do this again, but sorry Vietnam: The smiling rule tends to work here sometimes but it is very hard to abide by. The vendors can get very aggressive and even scream at you. If smiling just doesn’t cut it, then whip out your ugly grin and show you mean business. Unpleasant? Yes. Does it work? Absolutely. Have any more advice to add to this article? Feel free to share in the comment section below! Disclaimer: It might seem like I have something against Vietnam which I do not. 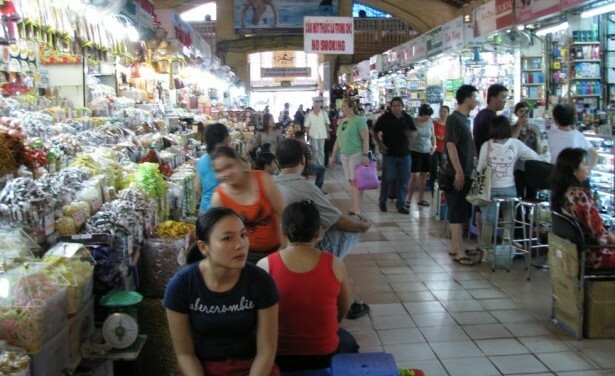 I have had some great times there and it is a great place to learn how to haggle. However, many travelers agree that getting constantly over-charged ruins their trip. Being over-charged is customary, so you really need to pull out your big guns. I find it entertaining but some find it annoying. If you do not feel like bargaining then pay what you are being asked. Just know that overcharging tourists by 200% is common in Vietnam and haggling is therefore Karl-approved and okay. Most of #3 is quite cold hearted. “Rid yourself of that bad conscience… It is not a matter of feeling sorry for the locals because they have less money than you.” How can you? And why on earth should you? Haggling may seem like a fun sport for westerners, but for the people of Vietnam and other Third World countries it may mean the difference between feeding their families or letting them go hungry. “Just because you could afford to pay more does not mean you should… make the world better by preparing the locals for tourists that know how to haggle.” Westerners get so upset if a stall vendors’ initial asking price is above the standard cost and assume that they’re trying to “rip them off”, when usually this price is usually far below what the asking price would be back home. So why not pay what the item is worth? Really, who is scamming who? Tourists go to these countries EXPECTING to be able to buy things for next to nothing, as though it’s a right, regardless of how many hours of labour/craftsmanship have gone into the product. Personally, I try to avoid bartering. 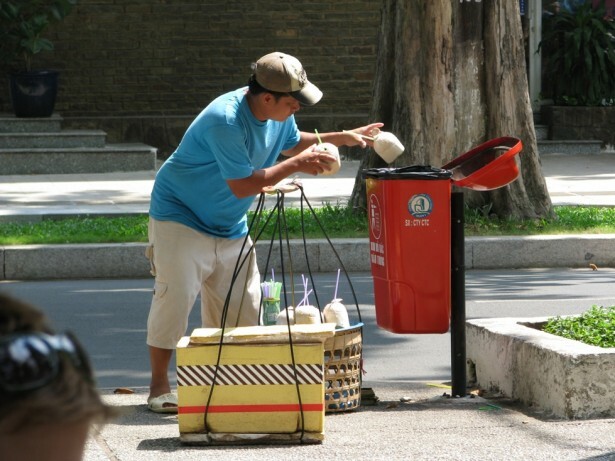 I have no issue with people who do, however I really do think that tourists should remember that most of us earn and own more than these vendors. Show some compassion, it may be a game for you, but it’s not for them. I totally respect your point of view here. However, I have traveled with many locals and bargaining is simply how things are done in poorer Southeast Asian countries and there is no reason to feel bad about taking part of it. Just because you are a visitor doesn’t mean that you should be overcharged for everything and pay more. There is income disparity in Europe too; that doesn’t mean that Norwegians should be charged 30% more than say Spaniards when they visit Greece. I concur with your analogy on the haggling( bargaining) technique. Am a final year student researching on the factors influencing the haggling behaviour of market women. This piece of research has been helpful as it will will appear in my referencing. Am struck with curiosity, please if you have additional information, or published work, relevant to my research topic, i will be grateful for your assistance. Below is my email we can discuss more on it.